Rural location, Test Valley, Barn Conversion. 4 miles from Stockbridge. Blacklake Barn is a delightful self contained annex with two bedrooms, a sitting room, shower room, and kitchen and breakfast area. Wonderfully light and spacious, the barn has original exposed beams and a rustic feel. For colder months, there is a very efficient wood burner in the sitting room as well as central heating in all of the rooms. The kitchen is fully equipped so self catering is an option. English breakfast ingredients such as bacon and eggs (all locally sourced) can also be provided for guests to cook for themselves and cereal, bread, butter and jam and honey. Please let your host know your requirements on booking. There are two bedrooms, one double with a super king size bed and one single with a single bed and a mattress is also available. Uniquely located on the Clarendon Way, the ancient Pilgrims route between the iconic cathedrals towns of Winchester and Salisbury. Beautiful property in an idyllic and peaceful location. 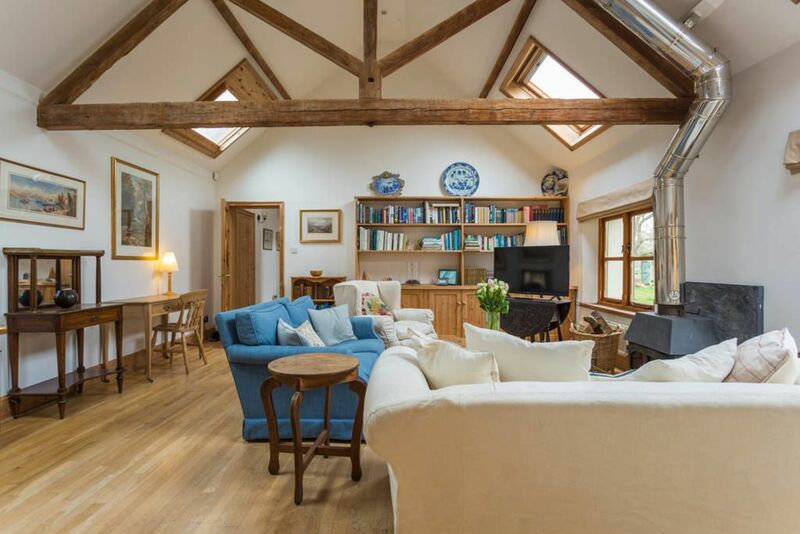 The property was a beautifully converted barn, very clean, well equipped and beautifully furnished. You would not think that this was a rental property. It was quiet and tranquil and exactly what we were looking for. The 15 minute walk either way to two great pubs was an added bonus! We were even privileged to hear the little owl resident to the old barn. Ingrid was a great host with the right balance between available if needed but respected your privacy. She provided lots of great suggestions of places to visit and where to eat. It was a great place to stay towards the end of our hectic trip and somewhere we hope to be back to soon but this time, a few days longer we hope.